Voofoo Studios look to evolve the top down racer with Mantis Burn Racing, but do they achieve the results they need? I just want to begin by saying that I absolutely love Mantis Burn Racing and whats it's brought to the table to raise the bar for top down racers. 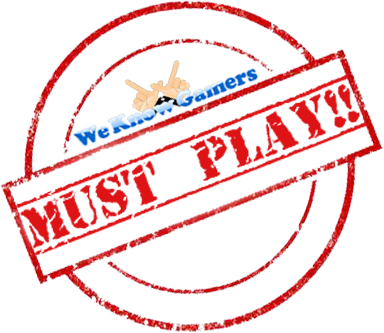 It looks amazing and it feels great to play, but while I can easily gush about it all day, lets look at the aspects that allows it to go far beyond a standard top down racer. So with games like this, we are looking at vehicles and in Mantis Burn Racing, they are split up into three different weights and three different classes. The weights are light, medium and heavy. The classes are Rookie, Pro and Veteran. Initially you get your first vehicle for free; a medium weight, Rookie class vehicle called Renegade. New vehicles can be bought using the ingame currency .G'. These vehicles however will only become available to buy once you reach the neccessary XP level. Sockets on the upgrade dial are used to install upgrades. Selecting an empty socket will allow you install any upgrade that you have unlocked. Selecting an upgrade you already have installed will allow you to scrap it. 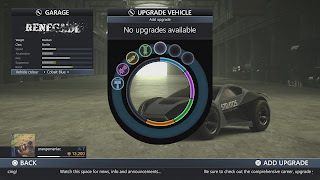 Scrapped upgrades will be lost, however in return it will allow you to earn a small amout of 'G' back. Its almost like an RPG system which I thought was amazing! The level of customisation is also unheard of in games such as this. You can really feel the difference between each vehicle when you are speeding off at the start line or making a tight turn on the corner. It also handles amazingly well and I never thought that drifting using the right stick would feel so natural. Career Mode is the area I believe most peple will be looking at. In order to progress through the career, you'll need to earn Gears. A set amount of Gears are needed to unlock each season's final event. Gears are earned by completing challenges which are presented to you in a variety of ways. It can come in the form of a simple race, time trial or knockout. All these events are displayed on the career grid and in order to advance, you need to place in the top three for each event. Upgrades are also displayed on the grid, however earning them can vary from completing single or multiple events. Open events allow you to race with any car, however some will be locked to a specific type. Online matchmaking works well for the most part. While it can be difficult getting into a race, once you are in its a pretty smooth experience. Another way the online aspect is expanded is through the weekly challenges, which allow you to earn further bonuses. Not feeling online? No worries as you can also do local multiplayer with 3 others for some old school couch competition, but I must warn you, beating your pal by drifting in from around a tight corner may win you the race, but lose friends at the same time. 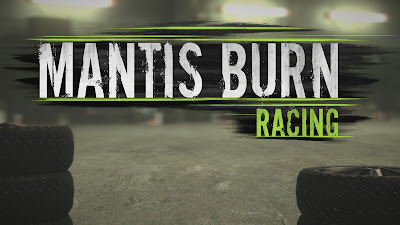 Mantis Burn racing is definitely the best top down racer i've played and goes far beyond what is available in similar titles. 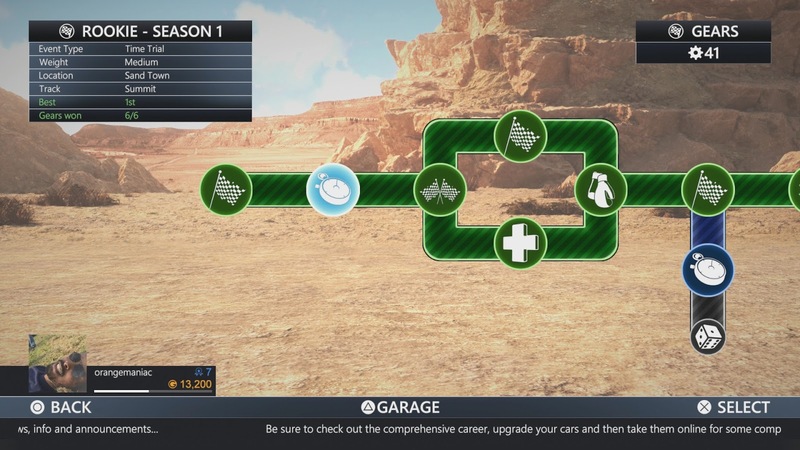 The variety of challenges the Career contains is a joy and the amount of ways you can upgrade you car through its RPG like system is pretty amazing. Graphically the game looks great and the gameplay is smooth and natural. Weekly challenges are present, but what I would definitely like to see are tournaments in the future as I believe it can generate even more excitement, however I'm sure that Voofoo Studios has a plan and I look forward to future updates.